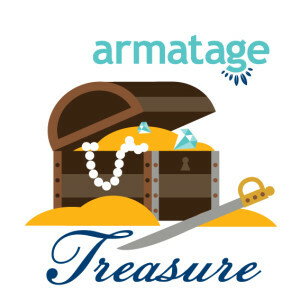 The Armatage Treasure award is an award that is presented by the Armatage Neighborhood Association to people that have contributed to the neighborhood in extraordinary ways. Recipients of this award go above and beyond. They demonstrate passion, determination and dedication to the well being and success of Armatage Neighborhood. Any business or person can be nominated for efforts benefiting our neighborhood. Please contact the ANA with your nomination. Include the nominee’s name, contact information and why you believe this business or person is qualified to receive this award. The ANA board will recognize nominees at a monthly meeting. Steve Johnson served on the ANA board since its beginning, helping bring playgrounds, artwork, safety improvements, neighborhood events, and more to our neighborhood. The self proclaimed “Mayor of Armatage,” will always be welcome at all things Armatage! Jerry Peterson was the Armatage Park Director for eleven years. His many contributions to the park include creating the Youth Start program at the park. This program has had a huge impact on the youth that are able to take advantage of it. Many kids that started with this program have gone on to be valuable Minneapolis Park employees. He wrote many grants for the park, including one for the new underground sprinkler system. He helped coordinate the merger of the Armatage and Kenny sports programs (KPAC).His strong and steady presence at the park combined with his hard work ethic and dedication to the neighborhood, have helped make our community center the wonderful place it is today. Jennifer Swanson is the former Neighborhood Coordinator. She held that position for ten years. She recently has taken her passion for serving the residents of the neighborhood with her in her current position of Policy Aid to Mayor Elect and Ward 13 Councilmember Betsy Hodges. She has made many contributions to the neighborhood including managing over $300,000 in neighborhood funds, wrote many grants, oversaw many park improvements, helped developed the new logo and boundary signs, and created the new neighborhood welcome packets. If you have enjoyed the Armatage Summer Festival, you can thank Jennifer. Her vision and hard work have turned the Summer Festival into what it is today. The Summer Festival and the annual Garage Sales have helped raise over $22,000 for the neighborhood. We are indebted to Jennifer for all her years of service and continued support of the Armatage Neighborhood.On behalf of the Armatage Neighborhood Association, we would like to thank both Jerry and Jennifer and wish them the best of luck in their future endeavors. Now retired Armatage School first grade teacher Jane Sasaki was nominated by Tina Erazmus. Jane taught for 45 years with her final eight years at Armatage Community School. She has dedicated her life to our community’s most precious resource, our children. Cheryl Anderson was nominated by Sue Jacobson to acknowledge her beautiful art, garden and for being such a kind and generous neighbor. Brian Ciccone was nominated by Jennifer Swanson to recognize Brian’s generous donation of all the hot dogs, buns and chips to the Armatage Summer Festival for the last four years. Lisa Domagala was nominated by Tina Erazmus to thank Lisa for the generous donation of her time and talent to redesign the Armatage neighborhood logo. Every year, Lisa also creates and prints all the signage for the Armatage summer festival.